Great pens! I collect them myself…..have you seen the Joon catalog (www.joonpens.com) oh my…..talk about great pens to draw. Check it out. Lovely drawing, Carol! I share your love of pens. The quest for the perfect one is never ending and totally enjoyable, isn’t it? 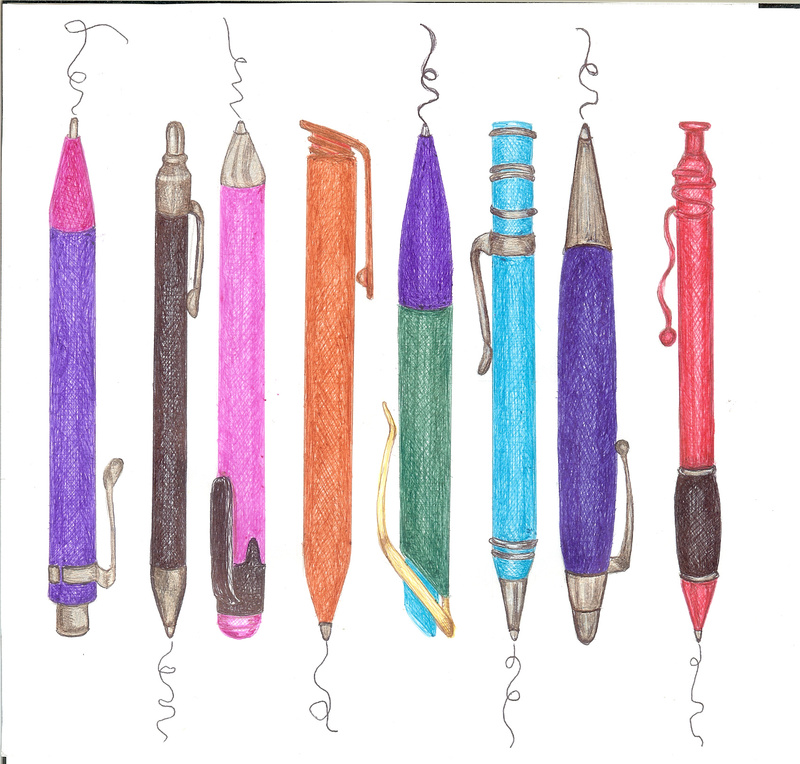 You did a great job rendering the pens and I love the bright colors and their nice line up. Love your pens. Great collection you’ve got there. I like this page very much – great way to show off a collection. I am also a “PEN” fanatic ~ so glad I’m not alone. I love your work ~ Thanks for sharing it.